Combine the comfort, safety, and reliability of the Polaris GEM experience with the convenience of autonomous mobility. MAX-EV provides a Polaris GEM with autonomous capability, along with standard options available to any MAX autonomous vehicle. 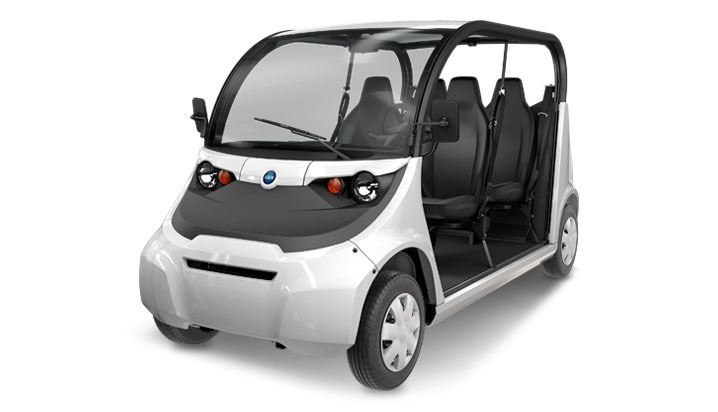 MAX-EV is available for any of the two, four, and six-seater GEM models. Whether you use your GEM for personal transport or passengers, there is a MAX-EV solution for you. Our autonomy model allows us to the flexibility to provide you with the autonomous solution you need for the model you want. With MAX you can create an automated experience for yourself or for passengers. You can easily run common routes with little effort and focus on enjoying the ride. With the sensor integration possible with MAX, your automated ride can deal with vehicle as well as pedestrian traffic.